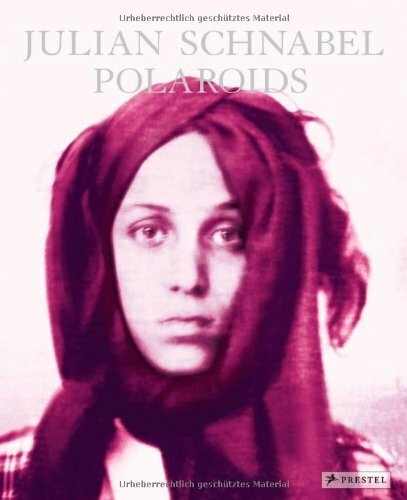 This book collects the large-format Polaroids by the American artist and film director Julian Schnabel. Schnabel is a major force in the international art scene. Shot with an extraordinary 20 x 24-inch vintage camera, his intimate and revealing large-format images are printed in color and black and white; some have been hand-colored or painted on; and many are previously unpublished. The photographs include intriguing portraits of the artist’s family and friends, including Lou Reed, Placido Domingo, the Beastie Boys, and Mickey Rourke. There are also private spaces dear to Schnabel, such as his own Palazzo Chupi in New York City—which he designed and decorated—as well as interiors of studios in Brooklyn, Montauk, and Long Island. Together these Polaroids create a unique tableau, both intensely personal and poetic.